I’m creeping towards bulking up my Horus Heresy 30k Iron Warriors Zone Mortalis force to a 2,000pt Centurion level. 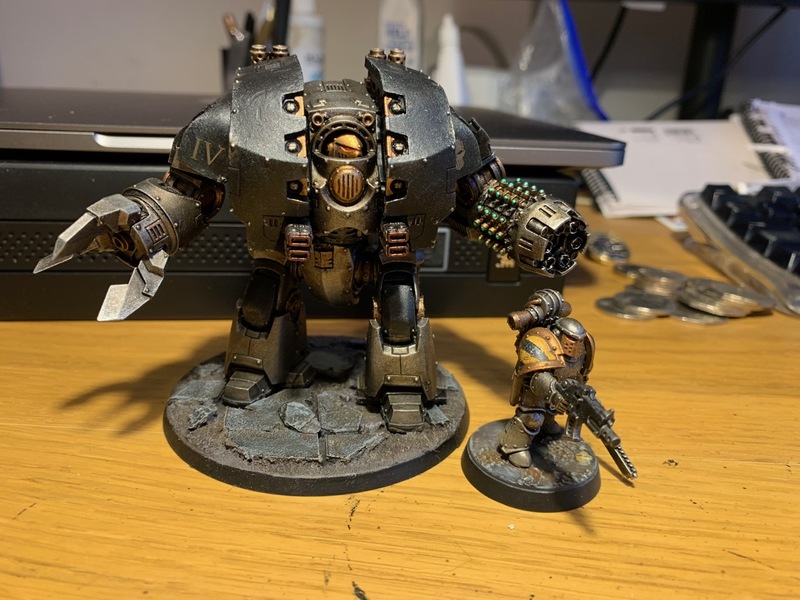 The Leviathan is a big hitter which takes up a good chunk of points. 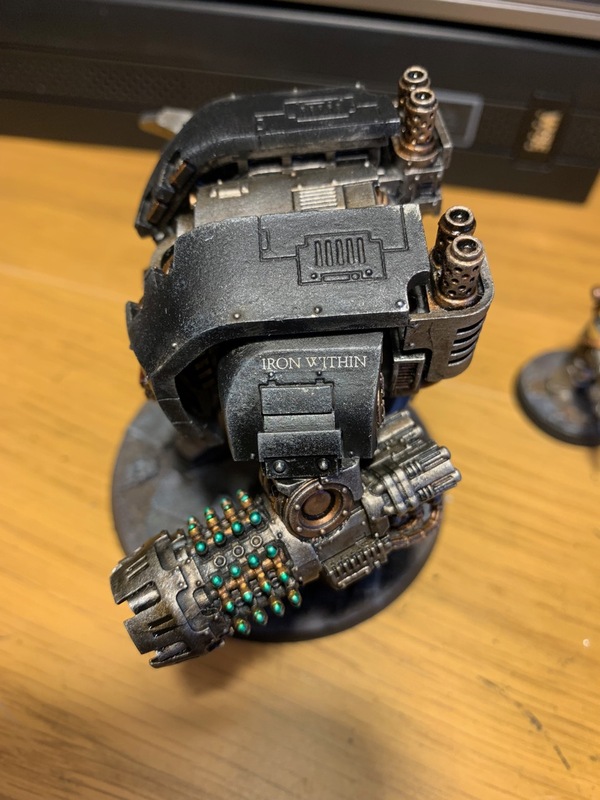 I’m happy this is now painted to a tabletop standard, but it does look a little plain so I might jazz it up in the future by adding more wreckage to the base or perhaps some hazard stripes to break up the black. Will have to do for now. 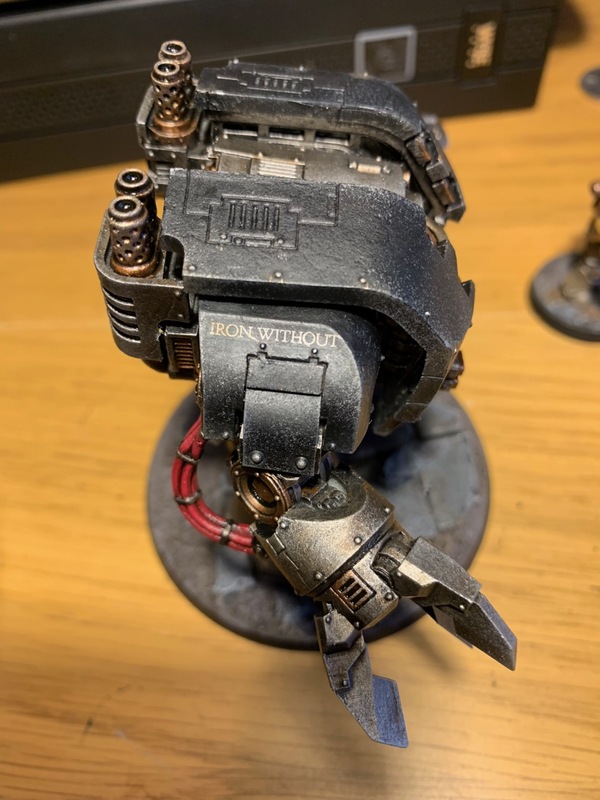 This entry was posted in Horus Heresy 30k and tagged Drednought, Iron Warriors, IV Legion. Bookmark the permalink. It is a big old bit of resin!